Everyone wants to have a perfect set of natural teeth for a lifetime. Unfortunately, damage is sometimes unavoidable. Whether by neglect or accident, your teeth can deteriorate over time. At Forster Dental Centre, a lifetime of beautiful smiles is possible with our premium quality dental services including restorative dentistry services. One of these restorative services is the dental implant. With dental implants, missing teeth can easily be fixed for improved look and performance! Dental implants are metal posts or frames, which are surgically inserted into the jawbone. The implants serve as the root of a replacement tooth. An abutment is placed to connect the implant to the replacement tooth. Dental implants are fixed restorative devices. With good oral care they can last a very long time. 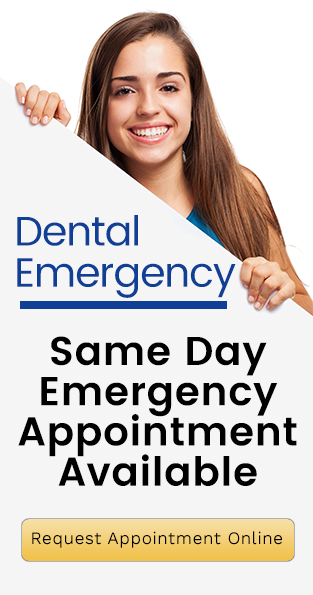 Don’t endure the pain and inconvenience caused by missing teeth. Get your durable dental implants at Forster Dental Centre today. You deserve a smile fit to match your happiness! Talk to your Forster Dental Centre dentist to explore this amazing restorative option!